Chandra has traversed more than 26 years long, multi-disciplinary career journey across Sales & Marketing, HR & Business Consulting and Business HR role with large organisations like Quess Corp., ANZ Banking Group, Hinduja Global Solutions and IDEAS, a business consulting firm based out of Sultanate of Oman. A Bangalore University graduate, Chandra achieved distinction in the Post Graduate course in Human Resource Management from Symbiosis, Pune. He is also an ICF accredited Coach. 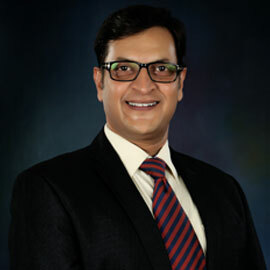 He is known for his deep insights of the industry practices and business environment while creating bespoke solutions to solve the business challenges. Uses Coaching & Mentoring skills honed across his career in creating fine balance between strategic thinking and operational efficiencies. Chandra has delivered on massive transformational initiatives spanning multiple geographies ensuring right business outcomes through evidence based people management.